By Malloy Owen / Sept. 14, 2017, 11:22 p.m. 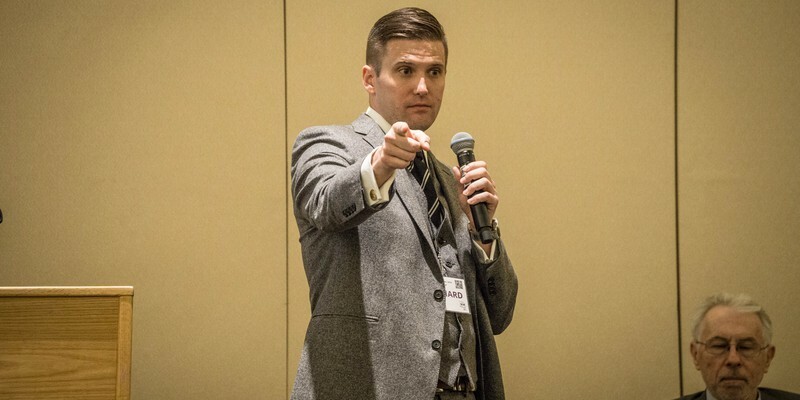 Recent events have put the prominent white nationalist Richard Spencer back in the headlines. His ideology has been discussed in many articles—perhaps too many—since the alt-right burst onto the national stage in 2016. In the most helpful of these articles that I have read, a June profile in Atlantic cutely entitled “His Kampf,” Spencer emphasized his intellectual debt to Friedrich Nietzsche. Scholars have devoted their entire careers to distinguishing Nietzscheanism from Naziism, and there is a great deal of truth in their efforts to develop a portrait of a kindler, gentler Nietzsche. Nevertheless, Spencer is likely telling the truth when he says that he was deeply influenced by his reading of the self-anointed Anti-Christ. A great deal of Nietzsche’s philosophy is basically a call to something like what we would call individual self-actualization. In practice he thought this meant harsh self-discipline; resistance to social forms that coerce people into becoming something other than themselves; a (rather admiring) hatred of religion, which he thought distracted people from the project of self-creation by ordering their lives to the pursuit of a universal divine good; and a preoccupation with art as a corrective to the homogenizing influence of the hard sciences. At times he also suggested that violence and coercion were permissible for the sake of self-realization, and this concept is at the core of the dark passages that lead many readers to associate Nietzsche with Naziism. At the same time, Nietzsche loathed German anti-semitism, which he saw as just so much whinging by failed men trying to explain away their inability to find their own paths to success. In other passages, he seems to speak as if the self-realization of others, and even of the whole world, could become just as important to the Nietzschean man as his own personal development. Taking all these things into an account, I do not think it is an exaggeration to say that Nietzsche is something like America’s national philosopher. We are a nation obsessed with self-actualization and prepared to deny our own moral agency (in accordance with another important element in Nietzsche’s ethics) in order to achieve it. In practice, that means hard work at the gym and in the office, frequent divorces and remarriages, a boundless appetite for self-help books, and a national ethics that denies the possibility of victimless crimes. In America, you can follow wherever your passion leads as long as you don’t interfere with anyone else’s self-realization. Though these are obviously overgeneralizations, America’s simultaneous admiration for radical individualism and overwhelming passion unquestionably has something Nietzschean about it. There really is not much of Nietzsche in Spencer’s white nationalism itself; when Spencer talks about the human need to find meaning in an ethnos that is greater than any single individual, he is directly contradicting important dogmas of Nietzschean modernity. Nietzsche’s disdain for culture can be directly linked to the “rootless cosmopolitanism” that Spencer says he hates. This collectivist part of Spencer’s thought apparently comes from Carl Schmitt, a bona fide Nazi who insisted that the natural human condition is a continual state of tacit war among exclusionary (and sometimes ethnic) interest groups. Nietzsche would presumably have despised Schmitt’s collectivism, so by citing both men as important influences Spencer is unifying two rather different strands of thought. Nevertheless, Spencer is a Nietzschean. He is engaging in the Nietzschean quest for self-realization, and he has decided that this quest permits and even requires him to throw other human lives by the wayside. It is hard to avoid the conclusion that in some dark sense (certainly not the Aristotelian one) Spencer is living the best life he is capable of. If he had stayed in the Duke Ph.D. program, he would probably be working as an underpaid lecturer at an obscure university, or possibly at a bank. Instead, he is starring in profiles in national magazines and leading a movement whose members genuinely seem to believe that they can build what Spencer calls a “post-American white ethno-state.” His crude and unoriginal political philosophy is being discussed in seminar rooms, bars, magazine offices, and internet forums around the world. This success—and Spencer clearly thinks of it as success—has come at an immense cost, and not only to Spencer himself. His movement has targeted members of American racial minority groups, who today face a great deal of vile harassment and the serious threat of terrorist attacks by partisans of his white ethno-state project. Such attacks, along with spontaneous acts of violence at alt-right rallies, have already cost several people their lives. He has also done grievous harm to the young men in his movement, who are in most cases very far from being Übermenschen. They are devoted to an evil ideology that is certainly doing damage to their souls, and thanks to the digital panopticon, their association with the white nationalist movement will probably make them unemployable for a long time. Spencer is obviously not the only person who is responsible for the rise of the alt-right. But while the other leaders of the movement may not have been directly inspired by Nietzsche, they share Spencer’s form of Nietzscheanism. What they seem to want, more than any particular political outcome, is a sense of danger and heroism—edginess. Nietzsche’s consistency is frightening: he steadfastly refuses to make any determinations about the content of the beautiful existence. To declare anything—even violence—off limits would be to capitulate to a universal norm that transcends the self, and in Nietzsche’s world such norms simply can’t exist. Nietzsche requires you to decide what form your self-actualization will take. You can decide to live like Michel Foucault, a great Nietzschean whose philosophy of the beautiful existence did not happen to involve violent coercion. Foucault’s type of vision, and many other non-violent forms of self-realization, are always available; in fact, they are by far the most likely choices. But Spencer’s example shows that they are not the only choices. American Nietzscheanism has always included a powerful motive to decide against the violent course: the proviso that the pursuit of self-realization cannot come at the cost of the self-realization of others. This restriction seems to have arisen from another great strand in American thought: Christianity. A religion that glorifies weakness and commands everyone to value his brother’s life more highly than his own, Christianity is not especially compatible with Nietzscheanism. Nevertheless, they existed alongside one another for a long time in the United States. Now, for one reason or another, Christianity (measured purely by weekly church attendance) seems to be losing its power over mainstream American life, and what remains of the Christian American ethic may not be particularly congenial to the secular elites who have spent the past several decades warning us about the creeping threat of a theocracy. 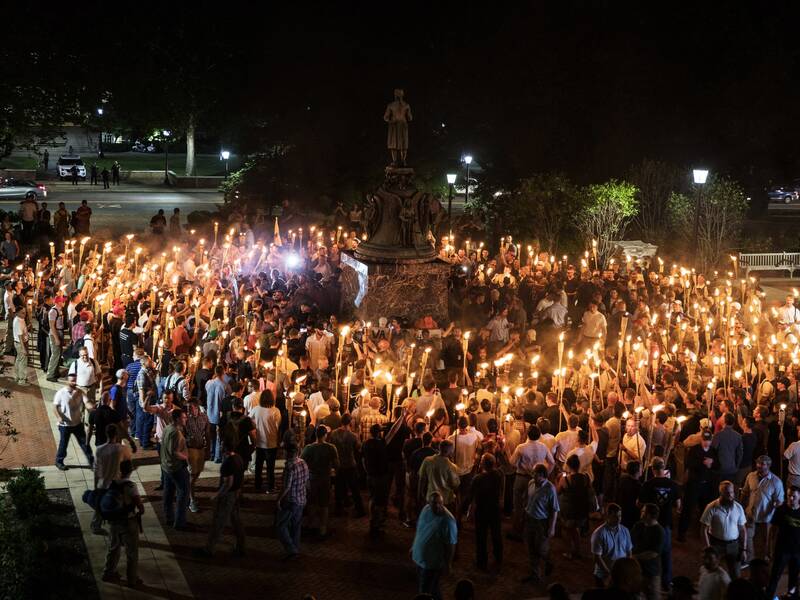 If Americanism is some sort of amalgamation of Christianity and Nietzscheanism, and Spencer’s white nationalism is the latter without the former, what will become of Americanism in a post-Christian age? Or, to put it another way, what should frighten us most about Richard Spencer is not how outré his ideas are; it’s how little separates them from America’s peculiarly Nietzschean form of bourgeois morality. The image featured in this article is licensed under Creative Commons. The original image can be found here. This article was revised on October 3rd to better reflect the intentions of the author. Malloy Owen is a fourth-year in Fundamentals and philosophy. He wrote his Fundamentals junior paper on the political theology of Plato’s Laws and is currently working on a BA essay on Kierkegaardian self-legislation. He has interned at The American Conservative magazine and spent last summer teaching high school students in the Great Books Summer Program at Stanford University. On campus, he is the publicity chair of UChicago Students for Life. © 2019 The Gate. Designed & built by Euirim Choi '19.